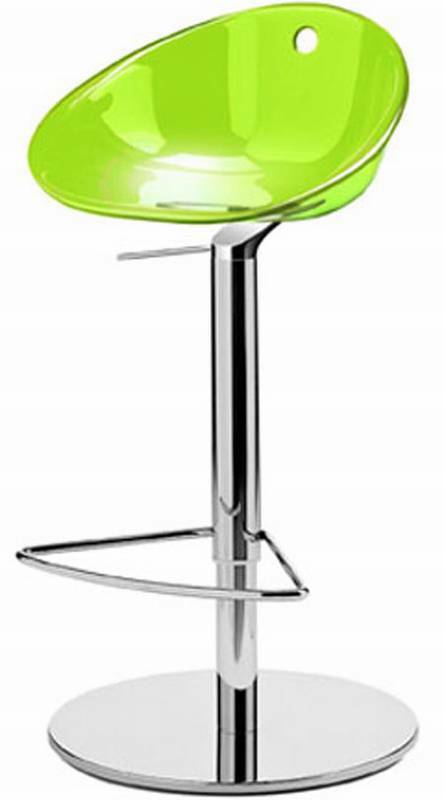 Description Stylish bar stool with resistant and flexible acrylic shell. Chromed central stem and base, which is adjustable due to a gas-lift mechanism housed in the stem. A fixed version with a sled style base is also available (see related products below).